Look! It’s even embroidery-numbered so you’ll never forget how special it/you are. Unfortunately, we’ve only got one of these in size large, but it’s hard to be picky about something this cool. For your chance to win, simply send an email to avcontests@theonion.com with the subject line “Mr. Poopybutthole.” Please be sure to include your full name and mailing address in the body of the email. U.S. entrants only. 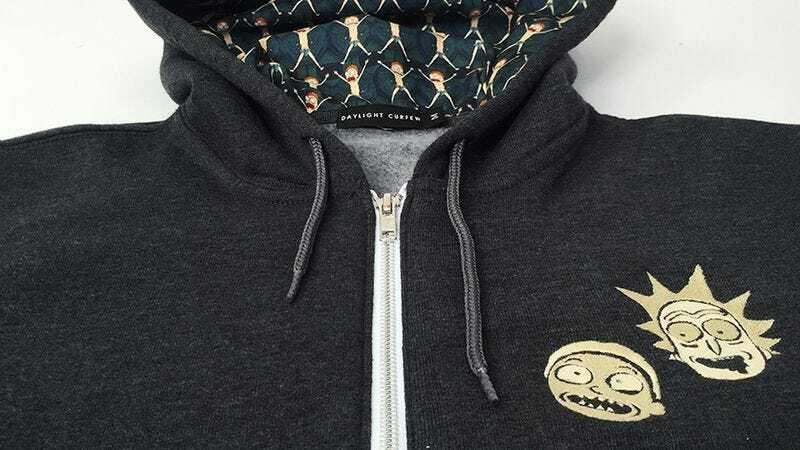 One grand-prize winner will receive the hoodie, Rick And Morty’s second season on Blu-ray, and some more surprise “goodies.” We’ll also select three runners-up who will receive a Blu-ray copy of the second season. Winners will be chosen, at random, on Tuesday, June 14 and notified via email shortly thereafter. Estimated retail value of the hoodie is $125, while the Blu-rays run for $29.98. Now, go on, get schwifty already.